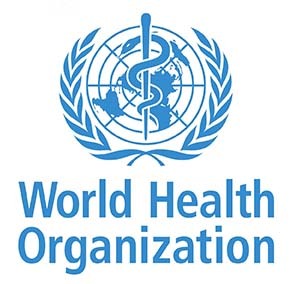 Statement on Agenda Item 5(C): Advancing Public Health in the WHO European Region for Sustainable Development. Large reductions in the incidence of abdominal aortic aneurysm (AAA) and AAA-related mortality mean that results from randomised trials of screening for the disorder might be out-dated. The aim of this study was to estimate the effect of AAA screening in Sweden on disease-specific mortality, incidence, and surgery. Catherine Riva of Re-Check was selected by the organizers of the Conference to present the results of her investigation on the “mammo-business”, an extensive system of business models and careers building grown in Switzerland around mammography screening. Her long-form investigative piece was honored in 2014 with a Media Award of the Swiss Academies of Medical Sciences. Catherine participation to the Conference was supported by the Foundation for Research in Clinical Pharmacology and by the Center for Evidence-Based Medicine in Oxford. Faire reculer les méfaits de la surmédicalisation: Re-Check était à la Conférence Preventing Overdiagnosis 2017 à Québec. Catherine Riva de Re-Check avait été retenue par les organisateurs de la Conférence Preventing Overdiagnosis pour présenter les résultats de son enquête sur le «mammo-business», ce vaste système de modèles d’affaires et de carrières qui s’est bâti en Suisse autour du dépistage du cancer du sein par mammographie. Son investigation long format avait été récompensée en 2014 par le Prix Médias des Académies suisses en sciences médicales. Pour sa cinquième édition, la conférence internationale Preventing Overdiagnosis s’est tenue au Centre des congrès de Québec du 17 au 19 août 2017. La conférence, co-organisée par l’Association médicale du Québec, a réuni près de 400 participants, de domaines très variés, notamment du soin, de la recherche, des revues scientifiques, de l’éthique et du droit, mais également de la communauté, décideurs et patients qui ont partagé leurs idées et leurs solutions pour contrer le surdiagnostic et le surtraitement en médecine. Confidence in the medical profession depends on doctors safeguarding the fundamental ethical commitment to not harm, however, some parts of medical practice are now expanding in ways that do not promote health, leading to unnecessary use of resources and, at worst, causing harm. In the early 1990s a small meeting of experts, part-funded by drug companies, decided on a new definition of the bone condition osteoporosis. Historically, the label was limited to people who had fractures, but with the coming of new technology that could see someone’s bone density, doctors started broadening the definition to include healthy people considered at risk of a fracture. Ten years after diagnosis, a new study found that patients simply monitored by their doctors fared as well as those undergoing surgery or radiation. Academic Radiology Special edition on Overdiagnosis edited by Dr. Saurabh Jha, Assistant Professor of Radiology at the University of Pennsylvania, Philadelphia. The issue considers both sides of the mammogram debate, the epistemological problem leading to overdiagnosis, and overdiagnosis in many areas ranging from detection of pulmonary embolism to substrates for sudden cardiac death. A unique radiology perspective which is also the first peer review journal in radiology to have given the problem of overdiagnosis so much space.